In 2019 we will be developing a show with Clare Norburn for which we are currently applying for funding. This will be developed from our existing CarmenCo concert, a joint venture with myself, mezzo-soprano and flautist Emily Andrews and guitarist David Massey (Andrews-Massey Duo), based around the popular story of Carmen. 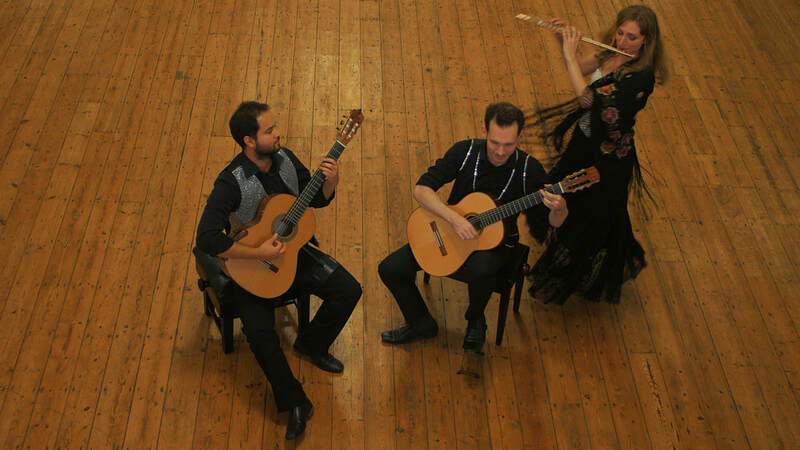 Showcasing Spanish music in different instrumental combinations (arranged by ourselves) the story of jealousy, love, rivalry and friendship is told. Creating Carmen is more than a concert. It occupies the borders between a one-actor play and a concert. It is a fully staged show for 3 musicians and an actor. The central character is Prosper Merimée, writer of the novella on which Bizet’s Carmen was based. Merimée had a colourful personal life; he had numerous affaires including with George Sand and wrote a series of letters to an anonymous woman for over 40 years. Our show imagines that these wild escapades fired his imagination, leading to the creation one of the most infamous femme fatale characters of all time. The project is a collaboration with writer Clare Norburn, who has developed a series of concert/plays which have toured to most of the UK’s leading venue and festivals, and director David Timson.